No sounds of sobbing or wailing were heard at a memorial event for SHINee’s Jonghyun on Monday, but the singer’s death is still keenly felt by his fans. 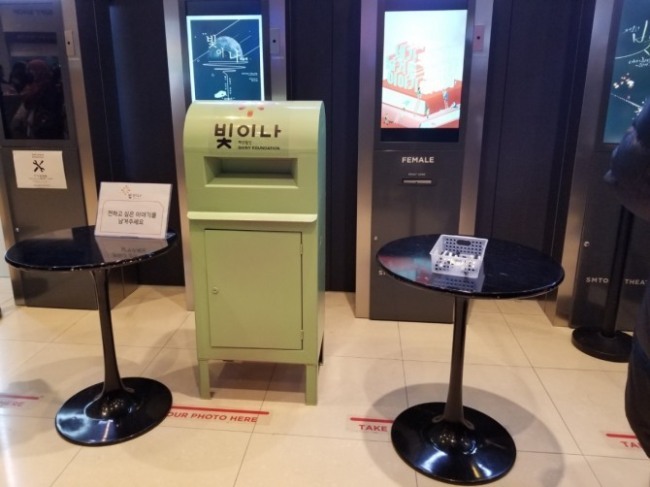 On Monday evening, the event to commemorate the late lead vocalist of SHINee, who died a year ago, was held at a theater in S.M. 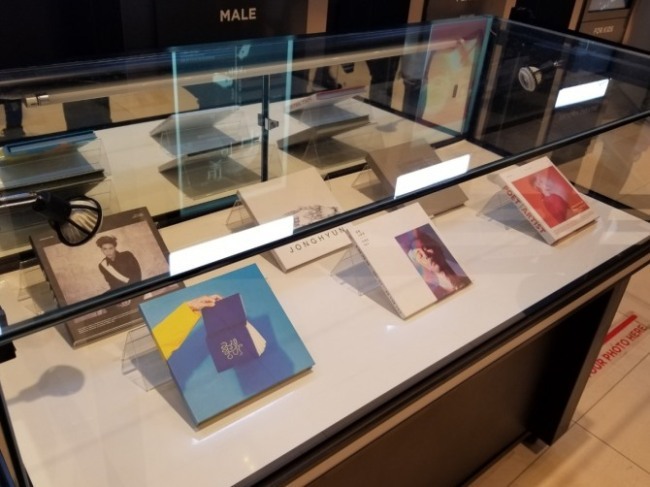 Town Coex Artium in Gangnam. 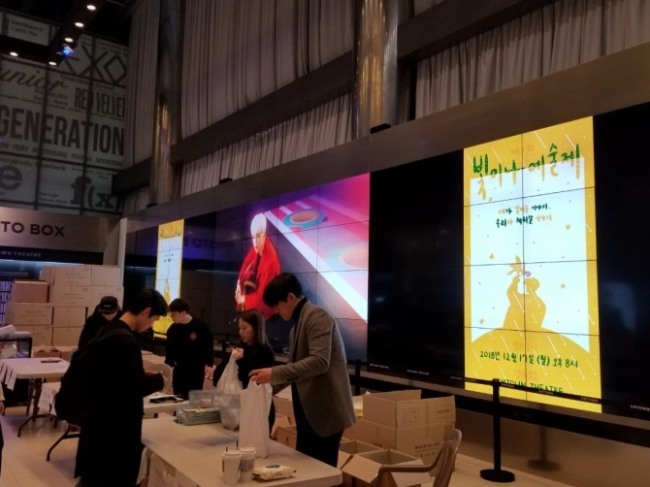 Organized by Shiny, a nonprofit organization founded by the late singer’s family in September to support young artists, the event was exclusively for those who received tickets distributed in advance through a draw. Under the theme of “Stories you left us, stories we will fill,” the memorial event lasted for 2 1/2 hours starting from 7:30 p.m. 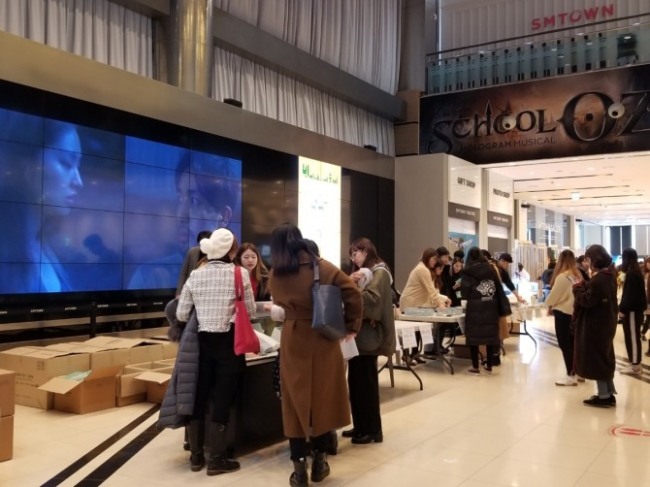 It kicked off with a memorial worship service and went on to showcase heartfelt clips and letters by fans dedicated to Jonghyun. 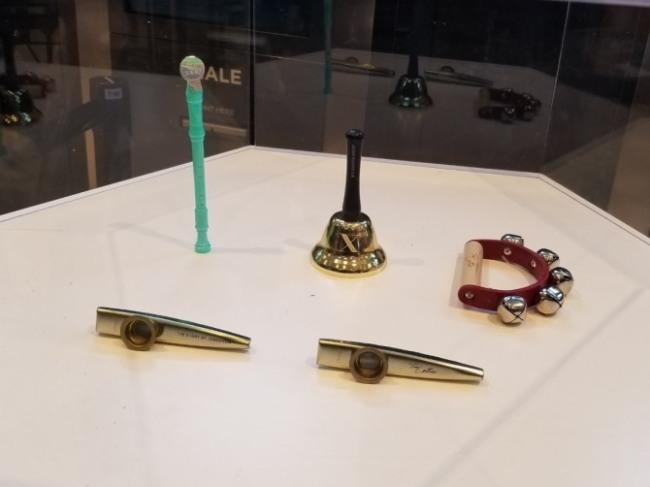 Before the event started, fans were also able to get a glimpse of the late artist’s keepsakes, such as his kazoo and goods he used at his solo concerts, as well as his solo albums, which were exhibited at the theater. 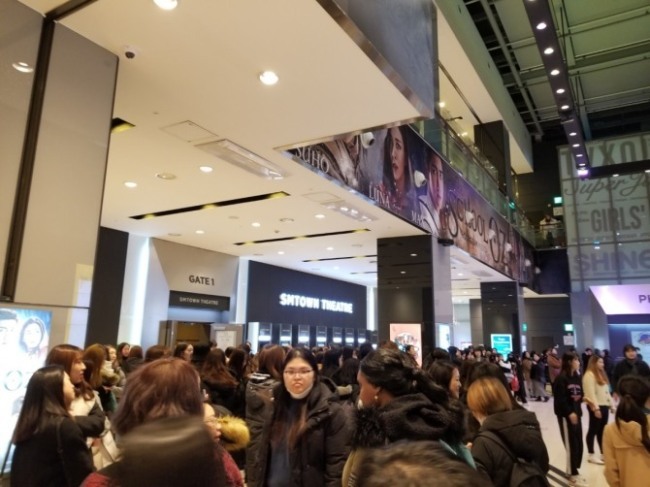 The overall atmosphere was calm and peaceful, though there were fans who silently cried upon watching videos of Jonghyun played on a wall in the theater. Many fans were spotted smiling and sharing their memories of the artist. It was a stark contrast to Jonghyun’s funeral service held at the Asan Medical Center in December last year. However, that does not mean the pain felt by the singer’s fans has lessened. “It’s definitely still difficult to think about him, although a year has passed since his death. I couldn’t listen to his songs for a while,” Sarah from Canada told The Korea Herald. 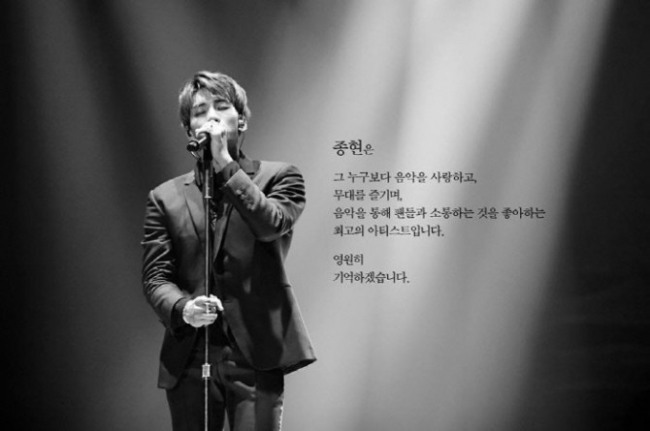 Sarah began to overcome the pain after listening to Jonghyun’s posthumous album and songs released by SHINee after his death. Meanwhile, Bunny from the Philippines, who attended the memorial event, said she tries to stay cheerful when talking to her friends about Jonghyun. “It still feels weird, as I’ve always remembered him being fine and positive. I hadn’t expected his death. I listen to his songs whenever I feel stressed at my work,” she said. Jonghyun, whose real name was Kim Jong-hyun, was found in a rented studio apartment in Cheongdam-dong, southern Seoul, on Dec. 18, 2017. The 27-year-old singer had suffered a cardiac arrest upon discovery and was taken to a nearby hospital, but he was pronounced dead after attempts to revive him failed. Having debuted in 2008 as the main vocalist of SHINee, Jonghyun was known for his singing, dancing and songwriting skills. His solo career was also a success, and he was nominated for the best male artist award at the 2016 Mnet Asian Music Awards. His posthumous album “Poet | Artist,” which was completed last year, was released in January.